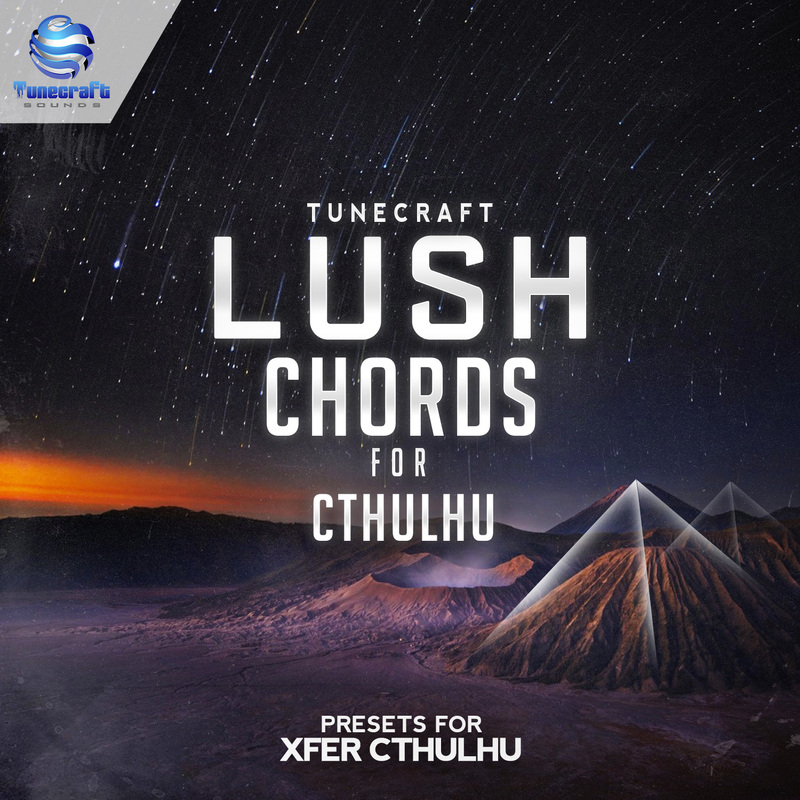 Suitable for a wide variety of genres, Tunecraft Lush Chords for Cthulhu is an hefty collection of 2500+ unique chords sorted by key, mode or scale and organized by presets for ease of use, allowing limitless progressions possibilities and harmonic experimentation. Load up to 100 different chords at a time from one of the 40 presets for Xfer Cthulhu and help inspiration flow easily, generate rich chords progressions and inspire songs ideas, or let it provide easy harmony access if you’re non-keyboard player. Simply trig a single note on your keyboard, you never know exactly what you are going to get, and therein lies the interest and fun: Experiment with lush and complex chords progressions at your fingertips with just one finger ! Also included are 50 midi files ready to use in your sessions, as well as an instruction file for easy installation containing help, tips and tricks to get the most out of this product with Cthulhu. Check out the demo but don’t let it fool you, there’s some much more to find out inside ! What’s in the pack ?